Touhou game objects in your worlds of Minecraft. Touhou Items 1.7.10 is a mod based on a game called Touhou and will add various objects based on this game. Broadly it is a mod that adds magic objects to the game that have special skils overall they have special effects full of explosions and color like the ones for animes, as the mod is Japanese. 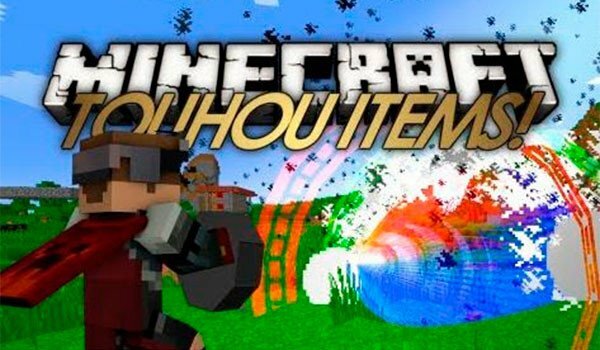 Some of the innovations that you will find when installing the mod are new food and magic material, but certainly the most highlighted is are its weapons and special powers which will make you believe that Minecraft ahs become an anime. How to install Touhou Items Mod for Minecraft 1.7.10? Perfect! It’s done! Start enjoying Minecraft in a Japanesse touch.